At various stages of your life, you may have different needs involving family planning. The professionals at DaVincii Obstetrics & Gynecology in Madison Heights, Michigan, offer family planning for each stage of your life. The team’s experience and advice make you feel at ease making decisions about birth control, preconception, or sterilization.Call today to book an appointment for your family-planning consultation. If you are interested in learning more about family-planning options, the helpful staff at DaVincii Obstetrics & Gynecology can advise you about what is best for you. What options do I have to prevent pregnancy? An unintended pregnancy can have negative outcomes for both the mother and the child. While abstinence is 100% effective in preventing unintended pregnancies, birth control offers other options. DaVincii Obstetrics & Gynecology provides birth control in the form of pills, injections, and intrauterine devices. Short- or long-term birth control options are not irreversible in the event you are considering pregnancy. What if I want to start having children? If you are currently using birth control as a way of preventing pregnancy, the team of doctors at DaVincii Obstetrics & Gynecology offers preconception counseling and can explain how best to stop using birth control and how long the effects of birth control will last in your body. A combination of preconception counseling and expert advice will fully explain what you can expect while trying to conceive. What if I decide not to have children? Sometimes a woman decides she doesn’t want to have children because, for example, she has medical reasons or because she already has the number of children she can raise. The medical team at DaVincii Obstetrics & Gynecology will answer your questions about permanent birth control, also known as surgical sterilization. One sterilization procedure is tubal ligation. In tubal ligation, your fallopian tubes are severed between the ovaries and the uterus. 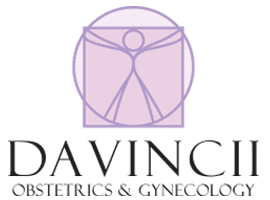 Speaking with the compassionate and caring team at DaVincii Obstetrics & Gynecology can help you decide the best approach to your family-planning needs and explain in full any expected results or risks. Call to book an appointment today.